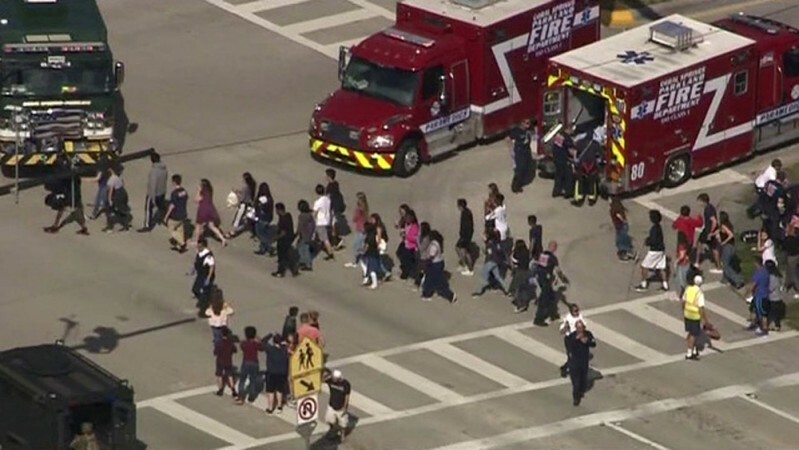 The law enforcement officials have said that the teenager is a former student of the Marjory Stoneman Douglas High School in Parkland. At least 17 people, including students, were killed and several others were injured after a 19-year-old boy named Nikolas Cruz opened fire at a high school in Florida on Wednesday. The law enforcement officials have said that the teenager is a former student of the Marjory Stoneman Douglas High School in Parkland, where he started shooting on Valentine's Day..
Broward County Sheriff Scott Israel told a press meet that Cruz, who was a former student of the same school, had been expelled from due "disciplinary reasons". The accused was arrested from a nearby town called Coral Springs. He surrendered to the cops without any struggle. At first, he was taken to a hospital, where he was treated for his minor injuries and then handed over to the police. The police are currently investigating the incident. "Nicolas Cruz was the killer. He is in custody. We already began to dissect his websites and social media that he was on ... some of the things that come to mind are very, very disturbing," Israel told the reporters. Israel also added that the suspect had many magazines with him and an AR-15 rifle with him when he was arrested. Meanwhile, a few reports have claimed that Cruz was a "troubled kid" who always carried firearms and enjoyed showing off his firearms. His Instagram account also has various posts on the firearms and Cruz, whose face is seen covered in a few posts. In fact, Cruz's mother had to often call the police to their home in order to drill some sense into him. A student said that the suspect even killed animals and was reportedly a racist. "He was crazy because he liked to kill small things, like little animals - frogs and other animals like that and he just had a crazy mind. He was racist and he was just crazy,' the student told 10ABC News.